The AOL mail is a well-known email client that has users from all around the world. AOL provides large storage space for free, exactly mentioned to be 1 TB, to each AOL user. Also, other features such as instant messaging, contacts & calendar services and much more that attracts the user to hold on to the email client. Having all these features included, situations arrive where the user has to change the email service and forward AOL mail to Outlook.com. Besides this, the other users also try archiving AOL emails on to their local hard drive for the email safety and security to cloud thefts and hacking. “I’m an AOL user and used AOL mail for my business purposes. There were many emails related to my business that was really important to me. One day after Lunch, when I tried to access my AOL account, it showed your password is incorrect. I re-tried logging in but afterward found a message showing, Your password was changed before half-an-hour. The message shattered me for once. I tried recovering my account through I forget my password option. Luckily! I got it recovered, but, found many of my starred and important emails have been deleted and some modified. I felt like cheated by someone and couldn’t find the culprit. This incident caused many AOL users to start backing up their emails. But what led the users to shift the AOL email to Outlook 2016. Let’s find out in the upcoming segment. 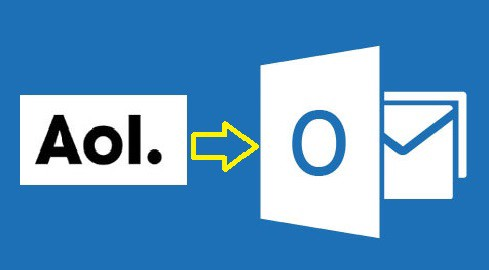 As we now knew the reason for an AOL user to change the mail service to Outlook, we now move to the method to transfer emails in AOL mail to Outlook 2016. For every problem raised, comes with a solution to get resolved with. There is a manual method provided for adding AOL email client into Outlook.com. The method is a bit lengthy and also the procedure is to be performed very accurately, as mistakes usually cause user into frustration and other troubles. Due to the above-held issues, the user is recommended to get performed the task by a technical user. Also, seeing the difficulties held in the process many users moved to search an alternative to forward AOL mail to Outlook 2013. Thus, an alternative solution is found and discussed in the below section. In the alternative solution, a copy of AOL emails is downloaded to the local system using SysTools AOL Backup Software. Then, the saved file is imported into Outlook. This process is very simple as no server configuration to be performed. The steps to perform could be easily done provided with an excellent user interface. 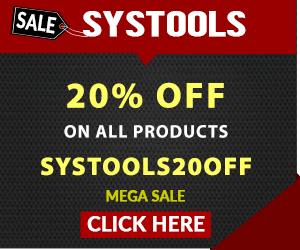 The application provides various features and is an efficient tool to safely back up on the local machine. So, let’s have the procedure discussed for downloading the emails in AOL to the local hard drive. Then, import the saved file from the destined location, and import to Outlook application. Here we have discussed how to forward AOL mail to Outlook 2010. Starting from the reason to shift to Outlook with an optimum solution to save AOL emails. Then, we have discussed a workaround to perform that add AOL to Outlook.com. But, due to some limitations held in the procedure, mentioned an alternative to performing the more easily and effectively.